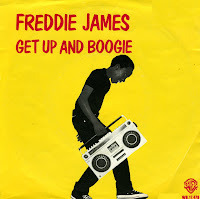 Freddie James was born in Chicago, Illinois (USA) in 1965. At a young age he started a music career. In fact, in 1979 his debut single 'Get up and boogie' became a worldwide hit. 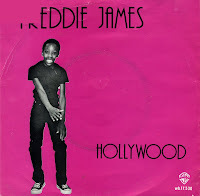 The follow-up single 'Hollywood' sounded a lot like that hit, and subsequently failed to make the same sort of impact. I mainly remember that this song was played on the radio once, and just after Freddie sang 'I'm going to Hollywood to become a star' the presenter commented: 'He'll have to eat lots of porridge first'.